The DR needs to step up its help to Haiti. The country has too much to lose. Haiti’s problems are Dominicans' problems. A few days ago, a US coworker asked how safe it is to travel to the Dominican Republic (DR) these days. She was planning a trip to the DR with her family to a resort in Punta Cana, in the east coast of the island. Her concern is legitimate: the DR borders Haiti, which is experiencing an outbreak of cholera after the devastating earthquake last year. The bacterial intestinal disease has already killed more than 1,100 people in Haiti and hospitalized more than 18,000 others. After my short conversation, I started wondering how many people also fear visiting the DR. What is going to be the social and economic cost to the DR? What can the country do about it? Should they acknowledge or ignore it? The DR has a fairly decent health system, which is ranked 51st out of 191 countries. This is lower than Mexico and South Korea. The CDC and the WHO (World Health Organization) both say it’s safe to travel to the DR. The cases of cholera have been limited to 23. However, perceptions abroad can significantly hurt the tourism industry, which fuels the economy. Plus, If Haiti cases continue to increase; this will create a trickle effect in DR. If we look at the numbers, the Dominican Republic is the second-most popular Caribbean destination for American tourists, only behind Cancun. More than 900,000 Americans have visited the island through August of this year. For Canadians, too, the country is the number two destination in the region, behind Cuba. It ranks number one for Europeans, with more than 800,000 visitors through August. As a result, any small decline in tourism could create a devastating effect. The country regularly gets 4 million annual visitors. The DR is a small economy dependent on the tourism industry. Besides the comprehensive health measures taken, the DR needs to step in to reassure tourists that is safe to travel. 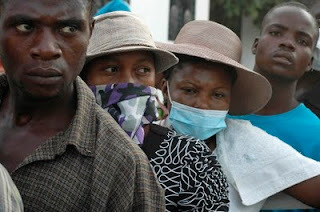 In addition, the DR needs to lead a campaign to help Haiti fight cholera. If the number of cases in Haiti continues to rise, this will create a domino effect in the neighboring country. The Dominican Republic has too much to lose. The country needs to lobby hard not only among the international community, but also needs to appeal to North American and European citizens to open their hearts and wallets. The DR should fund a campaign to promote donations in partnerships with the Red Cross. The private sector should also do its part. The government should provide tax incentives to the private industry. The campaign needs also to engage the Dominican citizens, who skew young and with significant access to Internet, to promote the cause among friends and relatives. The longer the DR waits, the harder the medicine.